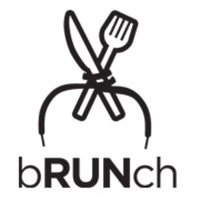 Join bRUNch Running for a training run at Postino Annex in Tempe, Arizona on January 8th, 2017! Start 2017 off by getting motivated by mimosas! Check-in starts at 9:00AM on the restaurant's patio. The group will leave for their run at 9:30. Street parking is available around the restaurant. Turn around points will be marked along the course. There will be a water station set up at the 5K turn around point. Bring your ID and a water bottle. There will be a water station set up at the 5K turn around point. Water bottles and cups will not be provided. Wear your running gear. As the group will be dining on the patio post-run, you may want to bring a jacket for afterwards. Tickets are $35, and include run, entree, two drinks, tax, and gratuity. A dollar from each ticket sold benefits the Run Eat Drink Foundation. Ticket prices will be updated on December 15 after new program structure is announced.